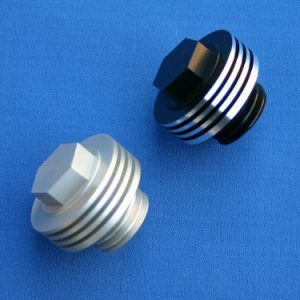 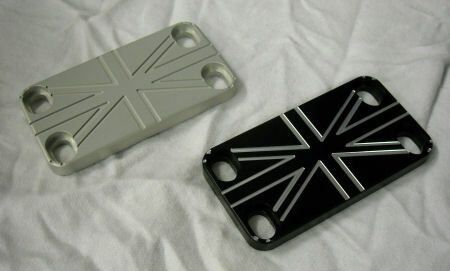 Made from machined aluminum, this attractive plate replaces the stamped piece and comes with stainless steel hardware. 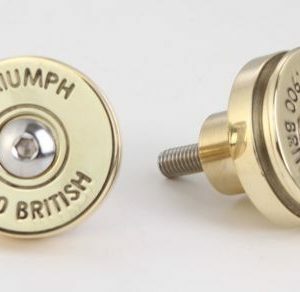 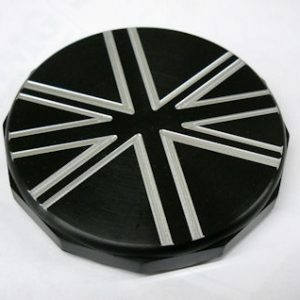 Available in silver or black it has the Union Jack milled in the top. 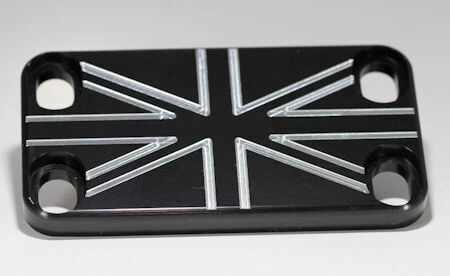 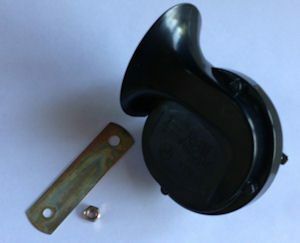 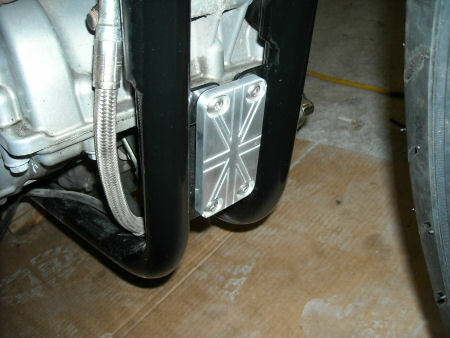 The black version features a silver milled flag.